Hi. 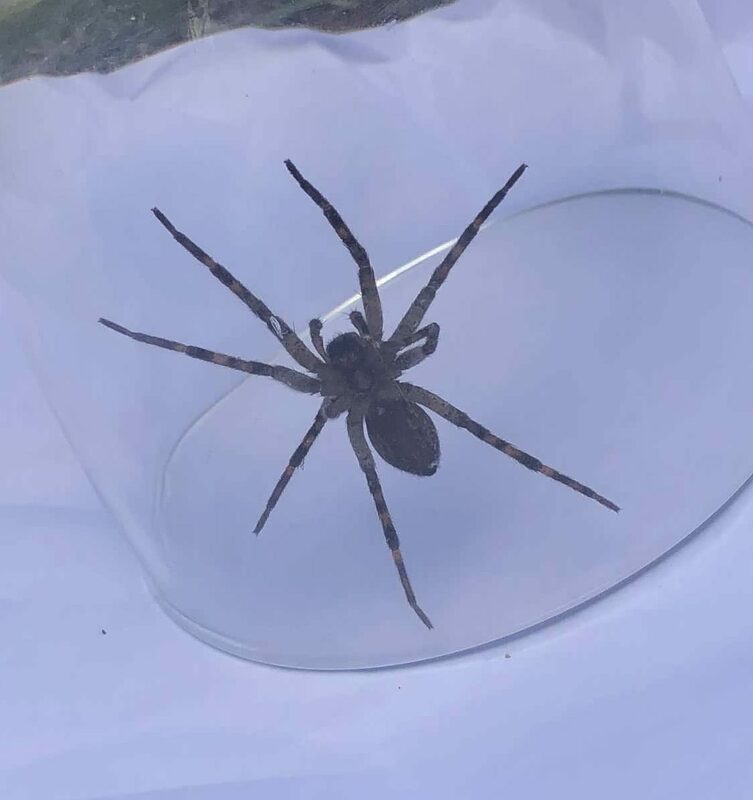 not certain with this from the venter but hunch says a dark fishing spider,Dolomedes tenebrosus. A face shot or top would help here. They are not dangerous or aggressive,if spooked, can bolt quick.